Our commitment to Caring for the Coast – every patient every time remains strong and our vision of Healthy people – Vibrant community continues to drive how we plan for and deliver our services. 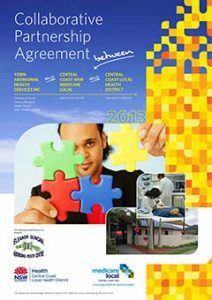 To achieve our vision of a healthy and vibrant community, Central Coast Local Health District (CCLHD) will play a leading role in making the Central Coast a place where the health of people in our community is maximised through quality health services, accessible when and where people need them. 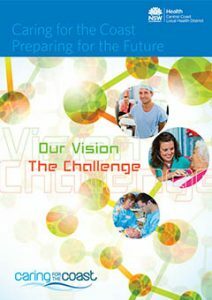 Our growing and ageing population creates both challenges and opportunities for CCLHD. 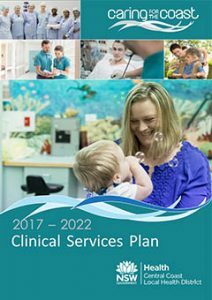 The Clinical Services Plan (CSP) details the current scope of our services and the strategies – short-term and long-term – that we believe are necessary to help us meet the changing demand of our community. A quick overview of the key themes in the Clinical Services Plan. To achieve our vision of a healthy and vibrant community, Central Coast Local Health District (CCLHD) will play a leading role in making the Central Coast a place where the health of the people is maximised through quality health services, accessible when and where people need them. 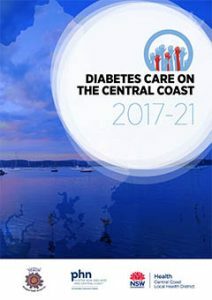 The new Diabetes Plan and Model of Care are important to address the increasing rate of diabetes on the Central Coast – about 10 per cent of adults living in the region have diabetes, mostly type 2 diabetes. 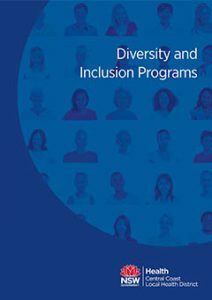 Please enjoy learning about the many ways that Central Coast Local Health District seeks to deepen diversity and inclusion as part of how we ‘Care for the Coast’ every single day. 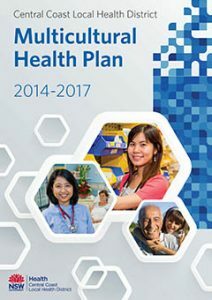 Aboriginal Health means not just the physical well-being of an individual but refers to the social, emotional and cultural well-being of the whole community in which each individual is able to achieve their full potential as a human being thereby bringing about the total well-being of their community. Nunyara provides a focus for health services for Aboriginal people in CCLHD, a focus for Aboriginal health workers in CCLHD, and a voice for Aboriginal people using any of the services provided by CCLHD. Prepared by the Children and Violence Prevention Service, this is a simple guide to legal and welfare services available to anyone involved in violent and abusive relationships. 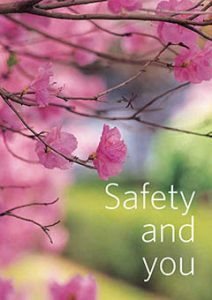 It discusses steps you can take, planning to be safe, what family and friends can do to help, police and the courts, services that can help and more. There is one exception to the epidemic of overweight and obesity in Australia. Older people can be at risk of malnutrition if they depend on others to provide their food. The Food and Nutrition Manual for Aged Care provides appropriate, practical and helpful information for all staff of aged care homes, dietitians and those who have loved ones in care. 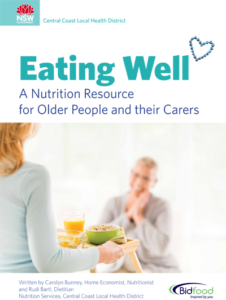 This resource has been written to provide practical food and nutrition ideas and advice for older people, their carers and support workers. As the Central Coast’s population continues to grow, so too does its cultural diversity. 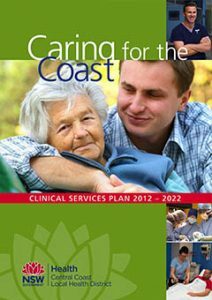 This plan supports our Caring for the Coast commitment, ensuring we are responsive to the health needs of our culturally and linguistically diverse (CALD) communities on the Central Coast.